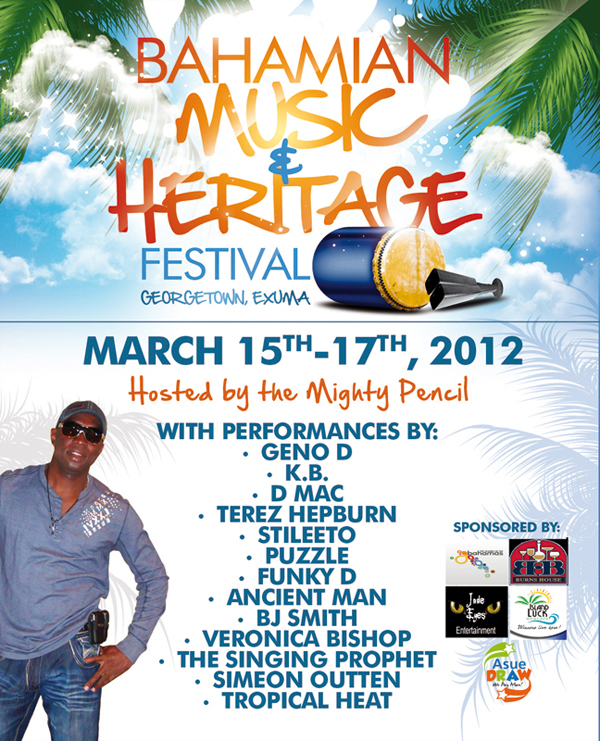 Georgetown, EXUMA, Bahamas - The 7th Annual Bahamian Music and Heritage Festival is set for March 15-17, 2012. Thousands of Bahamians, winter residents, hotel guests and visiting yachts persons packed Regatta Park for a celebration of the Bahamian experience. This year performances by Geno D, KB, D Mac, Terez Hepburn, Stileeto, Puzzle, Funky D, Ancient Man, BJ Smith, Veronica Bishop, The Singing Prophet, Simeon Outten, and Tropical Heat. Visitors can expect to be treated to a spectacle of arts and crafts from colourful straw work to shell craft to jewellery to woodcarvings to paintings all on various Bahamian themes. Exuma’s cooks and bakers were on their game with a wide variety of Bahamian presentations from delicious whelk soup and stews to barbeques, from crabs to conchs; pastries, duffs, tarts, puddings, cakes. 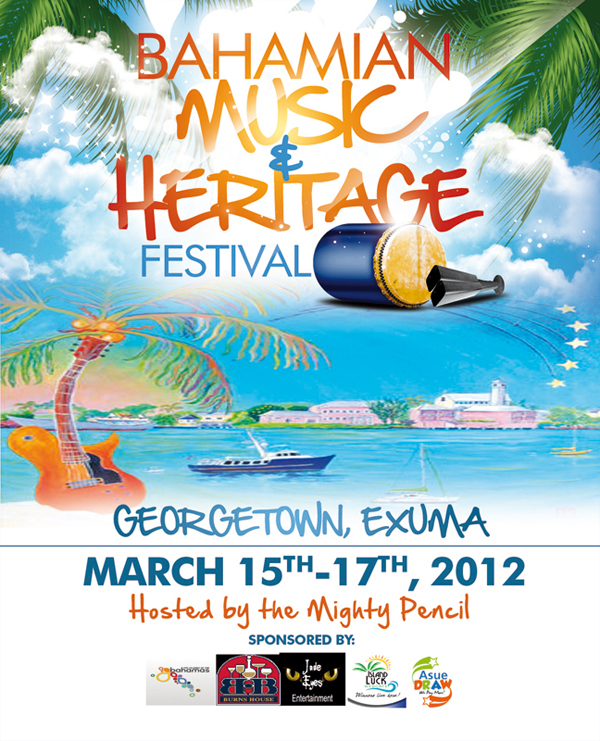 This festival is a natural extension of the George Town cruising regatta festivities for visiting yachts-persons.